Mit Transport Fever kommt diesen Herbst eine Transport-Simulation der nächsten Generation für PC auf den Markt. Spieler errichten ein florierendes Transportunternehmen und legen komplexe Netzwerke aus Schienen, Strassen, Luft- und Wasserwegen an. Zusätzlich zum genretypischen Endlosspiel-Modus bieten zwei Kampagnen mit historischem Kontext realitätsnahe Herausforderungen aus über 150 Jahren Transportgeschichte. Bei jedem Punkt auf dieser Liste gibt es noch viel mehr zu enthüllen. Die neue Website hält schon einiges an Infos bereit und wir bei Urban Games erwarten jede Menge Fragen von euch. Deshalb gibt es einen regelmässig erscheinenden Entwickler-Blog, wo wir die einzelnen Features in den nächsten Wochen genauer vorstellen werden. Die beschränkten Ressourcen und die knappe Zeit haben uns zu einer schweren Entscheidung gezwungen: Entweder, wir entwickeln ein grossartiges Single-Player- oder ein nur durchschnittliches Multiplayer-Game – und wir sind überzeugt, die richtige Entscheidung getroffen zu haben. Allerdings können wir versprechen, dass die Entwicklung eines tollen Multiplayer-Games eine unserer Top-Prioritäten für die Zukunft ist. Wir laden alle ein, das kommende Spiel in den offiziellen Foren zu diskutieren. Zusätzlich ist Transport Fever auf Facebook, Twitter und YouTube präsent. Wer auf dem Laufenden bleiben und kein Update verpassen will, registriert sich am besten für unseren Newsletter. Zudem gibt es mehrere Fanseiten, wo sich Community-Mitglieder rege über das Spiel austauschen. Das Urban-Games-Team ist gespannt auf Feedback. Alle hier und auch die Leute bei Gambitious freuen sich auf Input und Vorschläge! Das klingt ja schon mal echt spitze! Eine Frage kommt aber noch auf – wie sieht es denn dieses mal mit der Kartengröße aus? Wenn es sogar Flugzeuge gibt, muss es ja eine riese Karte sein, oder wird sie sogar zufällig generiert bis in die „theoretische“ unendlichkeit? When do you publish the game. I am buying this the day it comes out. It looks great and has all the major improvements that we the fans were asking for. I hope there are more locomotives than the previous one. In order to shorten the wait: If you miss locomotives for Train Fever, check out the vast amount of modded vehicles available for the game. They can be downloaded on train-fever.net (international) and transport-games.ru (Russian). I’m looking forward to play the game!!! When will the game be published? Wenn das wirklich so gut ist wie es aussieht dann wird es auf jedenfalls gekauft!! no multiplayer ;(( iam gonna cry. will you reconsider MP if the game sells well? in form of a pach or paied dlc? Sieht sehr gut aus, und ich weiß es werden noch mehr Fahrzeuge hinzugefügt, aber wie wäre es z.b. Noch mit einer Ju-52 als Konkurrenz zur DC3 oder später mit einer 737 und 747 damit sich etwas Variation ergibt, es wäre definitv schön Variation bei den Flugzeugen und den Schiffen zu haben. Is it any chance to fix it? it’s very irritating. Or maybe add a plopable one to put it manually? Pretty sure they’ll fix it until release, mind you it’s just pre alpha footage shown! Will there be maps with islands and different continents separated by big oceans available now? It would make sense given the addition of cargoships, and would be a great way to force some routes to use airplane or ship transport + make good use of the extra speeds that later airplanes have. It would also be a very cheap way to increase map-sizes substantially without big performance hits, and everyone loves huge maps. It looks nice.. There are many new and cool features and things. Having another amazing single player game in your product line up will not fail you. For that I am sure. I for one look forward to getting my hands on this when it is released and bringing to everyone on my YouTube Channel. Keep up the fantastic work you have an amazing team of talented people in your arsenal! Great work, guys! I think, Train Fever was the beta of Transport Fever. Hope that you add more vehicles of different countries. Beauthiful! P.S. Надеюсь, они добавят что-нибудь из 1520 DLC в игру. Got to say this looks fantastic. You obviously listened! Maybe the elusive modern Transport Tycoon has finally arrived! Das sieht ja mal mega aus! Gut zu erkennen im Trailer ist das Transport Fever auf der selben Engine läuft wie Train Fever. Ein großes Plus das man sehen konnte ist der verbesserte Gleisbau mit der Möglichkeit endlich richtige Kreuzungen zu bauen. Auch rechne ich mit vollständiger Kompalibität zu Train Fever Mods, speziell zum Rollmaterial. Aber ich muss mir schon die Frage stellen wie es in Sachen Performance aussieht. Zum Ende hin ist sie bei Train Fever zwar okay gewesen, aber nicht überragend. Wenn wir jetzt mit Flugzeugen und Häfen arbeiten brauchen wir auf jeden Fall größere Maps, da stellt sich dann aber die Frage, schafft die Engine das? Ich glaub nicht, dass es die selbe Engine ist. Vielleicht für die terrain generation etc. aber die Grafik sieht so viel detaillierter aus! Can we expect larger maps in Transport Fever? The Tran Fever maps is too small in my opinion. Wow you did so mutch to improve this game from train fever. 1. Cou copy and pasted as mutch as you could to save time. 2. You added features that could have been in train fever. 3. Added a script to replace tectiures over time. When can i buy it in Early Acces? Please don’t make another laggy game. And please change the way the cargo chain works. In Train Fever is impossible to make a long line, also the fact that the industry exist forever but only works if the entire chain is complete is unrealistic. If the industry is not producing it should go bankrupt and vanish from the map, not wait forever for a 100% working track and is close enough to go by truck. That’s good news. Really looking forward to the release. I hope we will see Transport Fever not only on Steam, but also on GOG (where I bought Train Fever). I hope the Transport Fever has translated into several languages including Portuguese. I guarantee it will sell very well both in Portugal and Brazil. Please put the Ikarus 280 in the game. This looks soooo cool. Great stuff. I’m looking forward to this! Keep on going and hope to see updates of the development soon! Game looks great!! I’m really looking forward to it!! I’m overjoyed already. Please make it possible to rename towns or city’s !! Great stuff, looking forwards to it. I hope there be mods in Steam this time PLEASE! AN idea had weather ie foggy morning, rain, snow.? Eine Frage: Werden noch Ampeln an den Kreuzungen bedarfsmäßig platzierten sein? I hope to hear better sounds., Add stuff to make the game more immersive! I want to hear the bell ring as a train pulls in and out of a station(if you’re zoomed in and such) Lets her the whistle blow when trains overcome crossings. I want to hear the brakes! What are these trains gliding?! Lets hear the squeals and squalls of the brakes, the metal against metal grinding as the train moves forward or hitting a turn. Something better than just a building we purchase trains.. they just pop out of. What about some type of railyards!? Stations that take in cargo and passengers! A reason for having shunting locomotives. Ability to reverse locomotives for the consist with out the use of mods. Some cooler animated loading sequences. Slow the game time down.. thats a major request it seems from most users. We want to enjoy what we have created. I can see it.. Picture a freight train sitting at the docks, or station.. when it’s loading you see people, foklifts, or other vehicles loading the train for a short amount of time.. when the train is loaded they just fade out. It really would be cool. Weather! Also.. resources such as water towers, sanding, coal, fuel for trains to replenish! This game can be so much better than was TF was! Steam-Workshop? Damit werden GOG-Nutzer zu Kunden zweiter Klasse degradiert. Der Steam-Workshop schadet der Modqualität (siehe z.B. City Skylines mit hunderten Spammods und billigen Retexturierungen) und ist stark beschränkt. Bitte liebe Modder, veröffentlicht eure Mods bei Nexusmods oder bei trainfever.net. I went to the doctor because i can’t concentrate at work. His sollution was that Transport Fever should be available to me as right now. And we should awlays(!) listen to doctors. I swear i wont do anything else with the game than just play it. That is all…a minor thing to just release the game for me. Just…one click on the button and voila. If i have to wait for half a year, i will loose my job, house, love, dog, cat, childeren, money, pc and that would not be a good thing because at the time of release i will not be able to buy the game. No pressure, just advice from the doctor. Gibt es wieder keine Computer Gegener? Any chance to see game on GOG ? I can’t beleive noone has mentioned this yet but along with map size the lack of timetables are by biggest two problems with train fever. I can’t change how long a train waits at a terminal station. I can’t make a train wait long enough to allow a high speed service to pull in ahead, I can’t even make trains and road vehicles spread out evenly!! It’s so frustrating. Vielen Dank für die Bedienung dieses Genres. Leider haben sich in der Vergangenheit die ganz großen Publisher zu sehr auf die Spielgenres mit dem meisten Profit konzentriert. Ich finde es daher super, wenn man auch weniger profitgeile Bereiche wie dieses abdeckt. Insbesondere die großartige Einbindung der Community ist beispielhaft. Ihr macht das wirklich gut. Dankeschön. Train Fever hat mich schon vollkommen überzeugt. 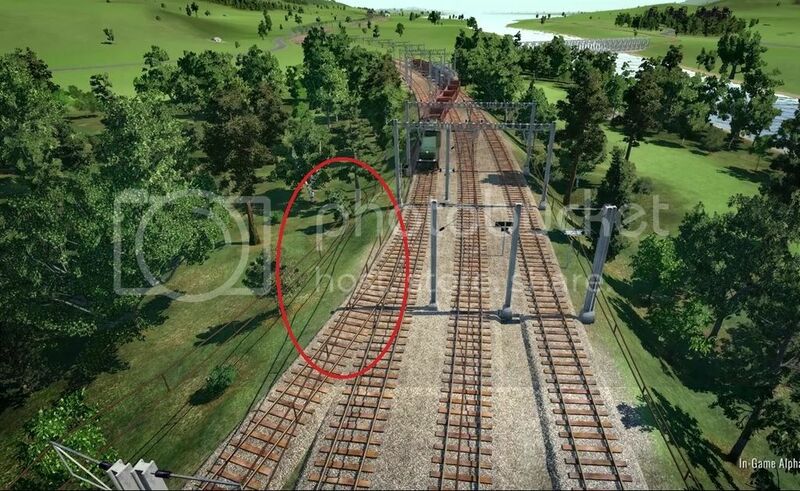 Will the new track tools be put into Train Fever? This game will kill my laptop!